Getting the most out of solar panels depends upon them working as promised when they are installed, and then continuing to work in a similar way for decades to come. To assist people in selecting solar panels that are likely to do this, DNV GL, an international certification organization, performed tests upon a wide range of mostly Tier 1 solar panels including Phono Solar, Kyocera and numerous other manufacturers. They published the results in their PV Module Reliability Scorecard Report 2016. Or at least they published a very useful review of the results, as they didn’t include everything they found. The results can be downloaded here, although you will have to fill out a form before you can get that particular pattern of photons squeezed out of your monitor and onto your face. Testing of the type DNV GL performed is vital because the only way we can be certain a solar panel will last for 25 years is to install it and wait 25 years. And who has time to do that? And even if we did, it wouldn’t do us much good, because no matter how well that panel performed it wouldn’t be on the market any more. Technology will have moved on and no doubt solar panels would be made out of weird future stuff like black holes or unobtainium. As the DNV GL report says, “85% of the 234 GW of installed global PV capacity has been in the field for less than five years.” So if we want to have a good idea of how long these panels are likely to last, the only realistic way we can estimate that is through testing. Now despite the idea having some merit and sounding like a lot of fun, DNV GL didn’t just go around grabbing panels at random and testing them. That would be a big job and would probably get very expensive. And people whose panels they’d grabbed might get upset. Instead, solar panel manufacturers were invited to participate in the testing which means only the panels of those who willingly joined in were investigated. Personally, this makes me think there is an excellent chance manufacturers of very low quality panels did not submit any to be tested. But I could be wrong. After all, a producer of low quality panels might want to know exactly where they need to improve, or they could just be suffering from severe overconfidence. The report does not give all the details of what was discovered. But it does give a very useful portion of the results. Five tests were performed with varying numbers of companies participating in each, ranging from 17 to 22. The report gives the names of panels that performed well, and the names of the panel or panels that performed extremely well. But they don’t tell us how well the panels in those groups compare to each other. Nor do they tell you the names of the panels whose performance was mediocre or poor. And just because we know a panel took part in one test because it did well there, it doesn’t mean it didn’t do well in another test it wasn’t mentioned in, because that panel may not have taken part in that particular test. But despite these complications, it is possible to see which panels did well on the various tests, and it is also possible to see there are definitely panels out there that should be avoided, even if we don’t actually know what their names are. Five different tests were performed in total. They were: The thermal cycling test, the damp heat test, the PID test, the dynamic mechanical load test, and the humidity-freeze test. All materials expand when heated and contract when cooled. This is a serious problem for the contacts between different materials as they generally won’t expand and contract at the same rate. This puts electrical contacts under stress and can cause them to degrade and even fail over time. Thermal cycling will have the greatest effect on performance in locations where the the temperature extremes between night and day are the greatest. So in Darwin, which has one of the most stable temperature ranges in Australia, it is less likely to be problem, while it is more of a concern in places such as Alice Springs where hot days combined with cold nights can result in considerable thermal cycling. The test is done by cooling panels down to negative 40° Celsius and then warming them up by 85°. Current is passed through them once they reach 25° to simulate them producing electricity in sunshine. And then the test is repeated 800 times which is estimated to simulate 25 or more years use in the real world. Nineteen different panels were tested and the two winners, with less than 1.5% reduction in performance, were Kyocera and Phono. The worst performing panel had a large 34.59% decline, which was more than 3 times that of the next worst performing panel. I’d tell you the name of the panel if I knew it, so you could avoid it. High humidity combined with high temperatures can be hard on electronic devices and solar panels are no exception. Rates of corrosion increase rapidly above 60% humidity in hot climates, so in Darwin, which has all year round warm temperatures and an average humidity of 71%, a good result on the damp heat test is extremely important. It would also be important in Townsville with its average humidity of 66%, despite being cooler over the year than Darwin. While Brisbane can be hot and humid, conditions are far less severe than in the Top End and outside of tropical Australia, performance on this test probably shouldn’t be a major consideration. In the damp heat test panels were kept at 85 degrees and a relative humidity of 85% for 3,000 hours to simulate use in a humid tropical environment. And surprisingly enough, that’s exactly what a summer afternoon in Darwin without air conditioning feels like. Of the 21 varieties of panels tested, 8 fared very well with less than a 3% decline in performance. Of these, Kyocera fared best in the Darwin simulator, with only a 0.57% decline. The worst panel suffered a 58.77% decline and two other panels had declines of at least 15%, so clearly, if you live in tropical Australia, you should definitely be using solar panels that perform well on this test. PID stands for Potential Induced Degradation, which is basically caused by electricity not going where it is supposed to, and it is a leading cause of panel failure in their first few years of life. Early death by PID usually only occurs if there was a manufacturing fault, or the panel was not built strongly enough to resist damage during transport and handling, or a combination of these two things which is a condition known as crap panel syndrome. But even when there is no danger of PID killing a panel, it can still gradually degrade its performance over the years and so is definitely something that should be kept to a minimum. The PID Test is fairly shocking and consists of placing the panels under hot, humid conditions of 85% relative humidity and 85° Celsius used in the Damp Heat Test while giving them 1,000 volts for 100 hours. Eight out of the 22 types of panels emerged with excellent results, suffering less than a 0.5% reduction in performance. However, 4 performed atrociously with reductions of at least 40% and the worst performing panel suffered a 58.27% decline. This obviously makes it a test where getting a good result, or at least not a terrible one, is a vital indicator of long term solar panel performance. 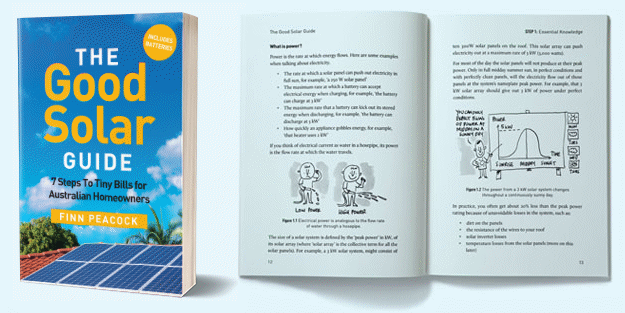 The wind, or in a limited number of places in Australia, snow, can result in a varying mechanical load on solar panels. These intermittent pressure loads cause mild flexing that can cause tiny cracks to form and gradually cause a panel’s performance to deteriorate. Australia doesn’t have much snow, but if you live in a windy location, such as Perth, you may want to consider how well a panel performs on this test. The Dynamic Mechanical Load Test consists of placing a panel in a test chamber and then having a robot poke it hard 1,000 times to simulate the flexing it would receive over time when deployed on a roof. Then, when the robot’s done poking it, it is given the thermal cycling test, described above, 50 times. And then the poor panel is still not through, because they give it 10 cycles of the humidity-freeze Test, described below. Of the 17 panels tested, nine performed well with 2% or less loss of performance. 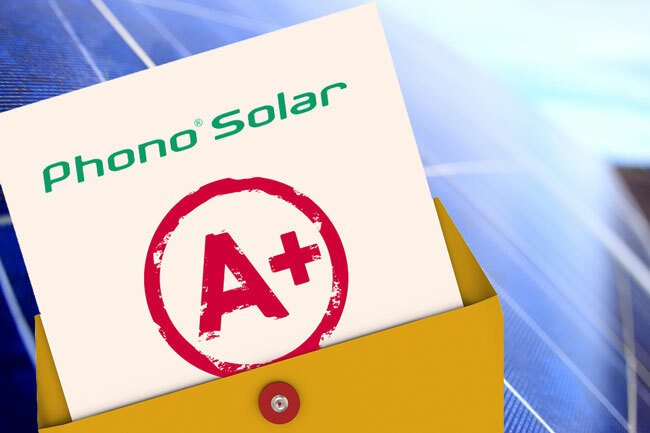 The two best performing panels were Kyocera and Phono Solar with declines of less than 0.5%. Which ever was the best of those two suffered only a 0.18% decline. The worst panel suffered a decline of 7.28%. So this test is probably the least relevant for Australian conditions. The humidity-freeze test is done by placing panels in the Darwin simulator used in the damp heat test for 20 or more hours to ensure moisture has seeped into the panels like liquid into Mrs Marsh’s chalk. Then they are rapidly cooled to 40 degrees below zero for at least half an hour so ice will form. The process was repeated 30 times. The report tells us the names of the panels which performed well on a test and the names of those which performed very well. But if they didn’t do well, we can’t even know if the test was performed on them, so the best we can do is say the results were unclear. For all we know they might have excelled if they were given that test, but they just weren’t used. In the table below, I have labeled panels that performed well as, ‘Good’, and the top performers as, ‘Great’. If no information was given for a test then I have labeled it as, ‘unclear’. A good or better result on the PID test is probably the most important consideration for the average Australian in selecting a solar panel. This is because while any of the panels that were rated good suffered from very little PID, the worst panel had its performance reduced by over 58% and three other panels suffered declines of at least 40%. So the down side of going with a panel that doesn’t have a good result on this test can clearly be huge. There was a lot of variation in the results of the PID test as the standard deviation was 18.6%. The statistical definition of standard deviation is the amount of variation in a set of data values. A non-statisical definition of standard deviation is dressing up like Spider-Man in the bedroom, while a major deviation is dressing up like a spider. For people living in Tropical Australia, good performance on the damp heat test is of similar importance. The worst panel had a performance loss of over 58% and two others out of the 21 tested declined by at least 15%. But for those living south of Townsville performance on this test is less of a concern, although anyone living in coastal Queensland may want to keep it in mind. Performance on the Thermal Cycling test is also important with the worst panel declining by over 34%. Good performance on this measure is useful in Central Australia where the difference between day and night temperatures tend to be extreme. From the table it is easy to see which panel performed the best, and it is Kyocera, with a rating of great in all areas. So clearly, within the limits of this report at least, Kyocera is the best panel for Australians to buy. Except for the fact that is isn’t, for reasons that have nothing to do with the report, so I have to declare the winner to be the very impressive runner up, Phono Solar. Unfortunately Kyocera Solar Pty Limited went into liquidation in Australia on the 19th of December 2014. This has made their panels rather difficult to come by. But, if you really want to get your hands on these apparently excellent panels, I guess you could always try importing some from Mexico where they’re made. Phono Solar panels, which got the second best results, are available in Australia and their price is quite competitive. And after reading some Phono Solar panel reviews, I see it appears everyone agrees they are top notch. Just because they aren’t the most expensive panels doesn’t mean they aren’t high quality. I do believe that you get what you pay for, but sometimes what you get is people ripping you off, so I definitely think it is worthwhile to pay attention to the results of tests such as the ones performed by DNV GL. Doing so can help you find excellent quality panels and save money by showing which are likely to provide the best value. But do keep in mind that quality does carry a premium, even though it doesn’t have to be particularly large these days. Unfortunately, the only panels you’ll find at dirt cheap prices are likely to be cheap and dirty. It was interesting to read that not ALL the information obtained in the testing has been imparted to future customers. We had a solar power stand-alone system installed in 2003, so we’ve had quite some time to evaluate our system overall and I’m surprised to learn that Kyocera came out on top! Initially, all our panels were Kyocera. Two of these panels failed completely after six months and after having the whole string checked it was found that several more were not producing the power that they should after such a short time.. The original installer, after consultation with Kyocera, decided to replace ALL the existing Kyocera panels under warranty, deducing that there was a high probability that the remaining panels were also likely to fail in the short term. The replacement Kyocera panels, replaced in 2004, have lasted well to this point in time (2016), but for some obscure reason, each string is now producing more power today than it’s original rated output. This in turn has now had a detrimental effect on the fuses which have been connected to each string. They continue to blow and require replacing about every three months. This has perplexed both myself and our current installer, because in real terms, solar panels should produce LESS power over time – not MORE. I liken it to how it was once said that a light bulb always burns brighter just before in burns out – so we’re keeping our fingers crossed in the hope that our Kyocera panels last – at least until we believe we’ve had our moneys worth. Knowing how the world of commerce operates today, we’re not holding out much hope. We’re weren’t surprised to learn that Kyocera went into liquidation. Guys, Could you correct your information. b) A local office contact number and address – your website only shows a US number. Kyocera Asia Pacific Solar Division is now overseeing the Australian market and an ABN was register. The local web site (contact details) are currently receiving some updates though in the meantime we are transitioning to further strengthen the local Australian support network. If you are interest in Kyocera Solar related product please contact [email protected] and I can connect you with a local distributor and/or pop me an email, and i’d be happy to catch up with you for a chat next time you’re in Sydney. Actually, I suspect that stating panels had been tested when it was not known if they had been would be a flaw. oh yes of course just throw a few on the next barge from Mexico……….fair dinkum is this guy for real?? ?， Does he actually understand what free onboard means ?? What does “unclear” actually mean? Well, it means that either the panel did not get a good result on the test or the panel was not actually tested. Not enough information was available to say which was the case. PANEL MANUFACTURER: Please test our panel. DNV GL: Certainly. Would you like us to tell everyone if your panel gets a good result? DNV GL: And would you like us to tell everyone if your panel performs poorly? The reason TenKsolar modules have no PID result is because they are intended to be part of a highly redundant, shade tolerant, parallel low voltage (35-59 Vdc) architecture that is fed into banks of parallel APsystems or Lead Solar microinverters running customized firmware. They are not designed to be used in high voltage serial strings. They have built in electronics that make them a type of unique smart module that can automatically operate as either a current source (for inverters) or voltage source (for 48v battery charging). Unfortunately it looks like they are also now becoming a limited availability item as the company has begun liquidating assets and inventory as TenK is “winding down operations” according to recent news articles. If the DNV GL tests are to become credible, they need to make it a condition that ALL panels submitted for testing are given ALL the tests, and that ALL the results are published. Otherwise, it’s just marketing flim flam. I’m surprised lg panels are not listed, although they are sold by numerous solar businesses. Even one salesman from one of your top panels listed here, told me that they were the best. I would guess they simply were not have submitted for testing.